Home / Barbecues Exeter Latest Projects NEW! 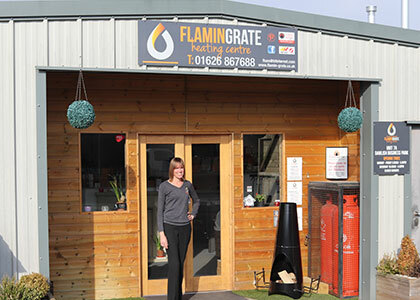 For more information on Decking?and to see a selection of Chimeneas and Barbecues, visit our showroom to see our ever changing range of stoves and flues. UNIT 7A, Dawlish Business Park, Shutterton Industrial Estate, Dawlish, Devon, EX7 0NH. Our range of Chimneas are a traditional solution to heat your garden and far more characterful and attractive than a patio heater. Available in a range of styles, from traditional to contemporary and made from clay, cast iron, or stainless steel, these outdoor stoves are long lasting and suitable for use with either charcoal or seasoned fire wood.